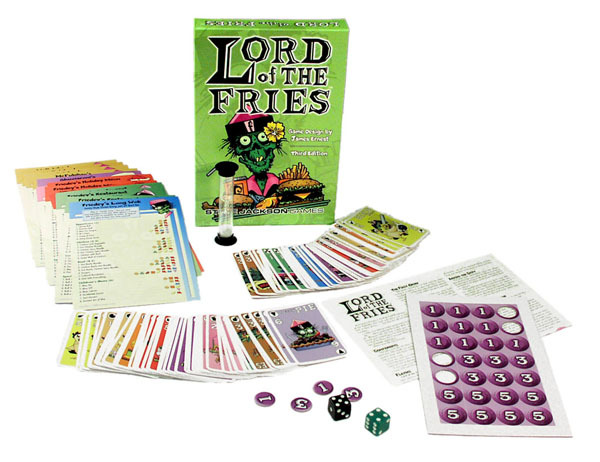 100 cards, two dice, die-cut tokens, timer, full-color menus, and rulesheet in a 6" × 9" box. Our whole staff is dead, and we're really short on brains. But we'll do our best to fill your order! 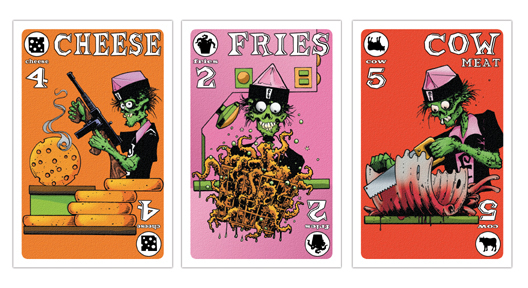 Even a horde of nearly mindless zombies can assemble combo meals. Sort of. And now you're one of us. Combine frighteningly generic ingredients like Cow Meat, Sauce, and Drink. 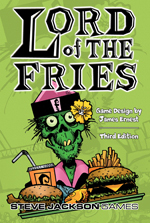 Play from eight different menus, including Ratherbee's Steakhouse, the classic Friedey's Restaurant, and the new McPubihan's. Build orders like Bovine Spongiform Yum, Yum, Yum!, Penne for Your Tots, Synaptic Relay Deteriorator, and Sheep wit' da Fishes. But be quick – the customer is waiting! 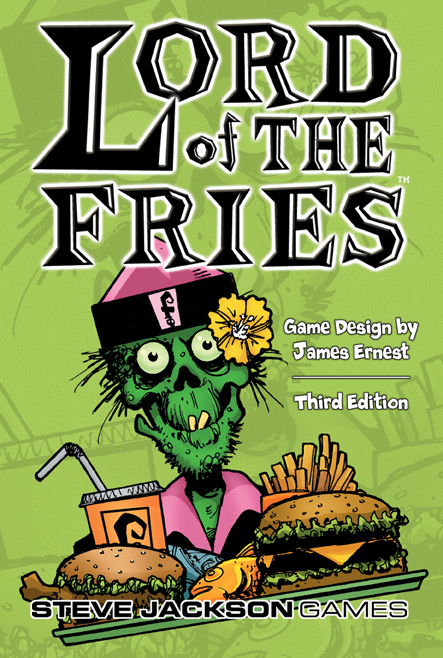 This edition of the classic Lord of the Fries includes large, full-color menus, a new restaurant, 8 alternate decks designed for 3-to-5-player games, color-coded dice, point tokens, and a timer. Can't get enough of Friedey's? Continue the brain-fumbling fun with Give Me the Brain! Create your own menu variants with the downloadable blank menu. 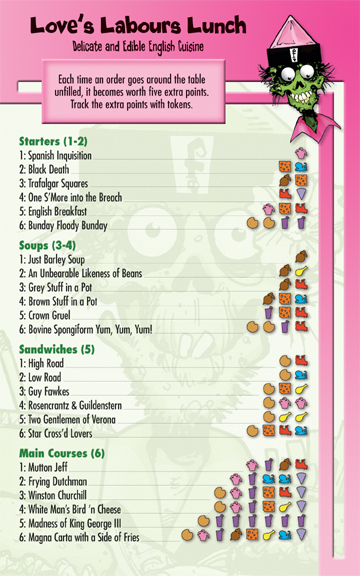 Check out "Short-Staffed at Friedey's", a two-player variant by Mike Mayer.